Last day for Layron Dejarnette's Sketch Card BLITZ! 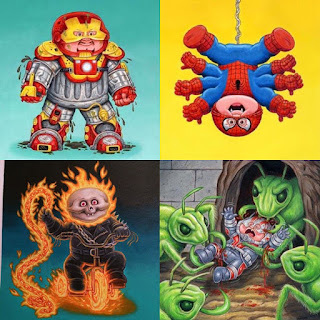 eBay sale! 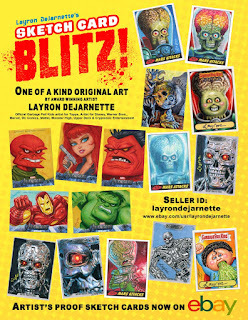 Last day for the Sketch Card BLITZ! 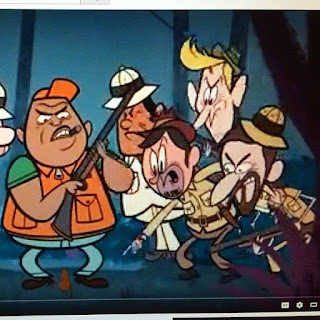 eBay sale!!! Not too much time left! 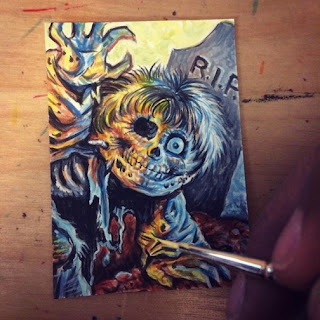 Here's a link to more sketch cards for sale on eBay. Please feel free to share the flyer & link. 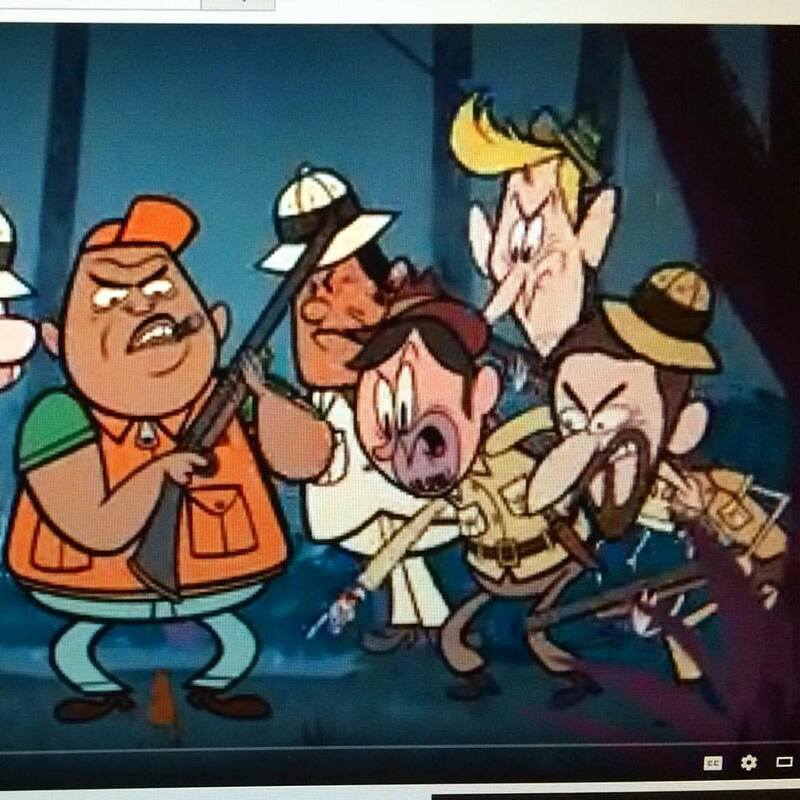 My Cartoon Cameo on The Ricky Gervais Show! 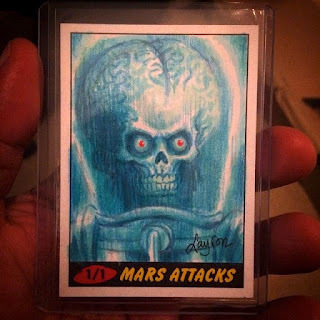 Mars Attacks Sketch Cards for sale on eBay! I have a few of my Mars Attacks sketch card for sale on eBay if anyone's interested. 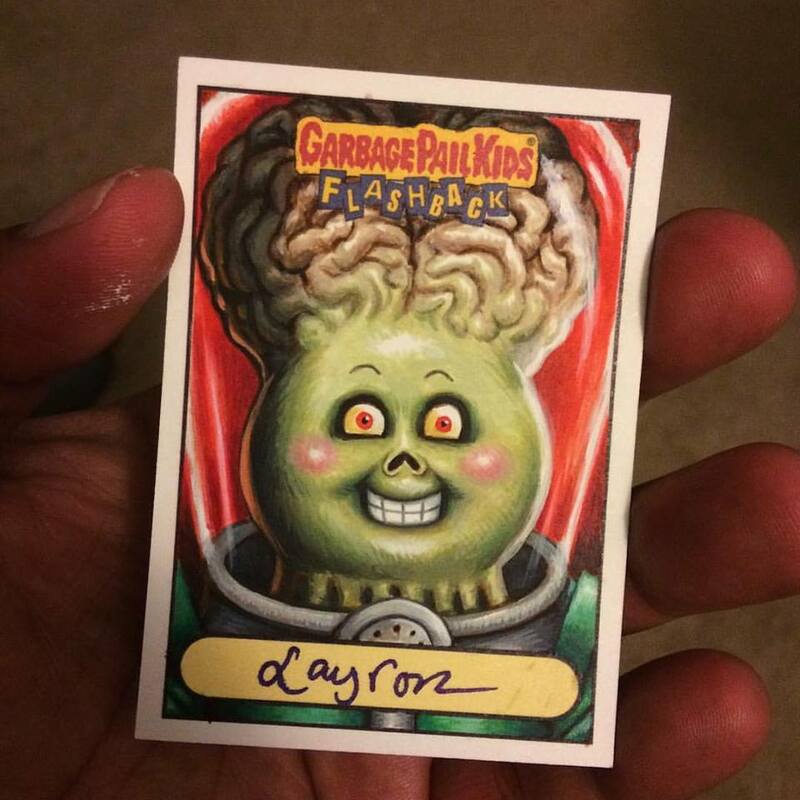 My GARBAGE PAIL KIDS Flashback 2 Alien IAN Return Sketch Card is now on eBay! If anyone's interested, my GARBAGE PAIL KIDS Flashback 2 Alien IAN Return Sketch Card (acrylic painting) is up on eBay. The acrylic colors are painted to look more like the original Mars Attacks characters. GARBAGE PAIL KIDS Dead TED Sketch Card Acrylic Painting now on eBay! 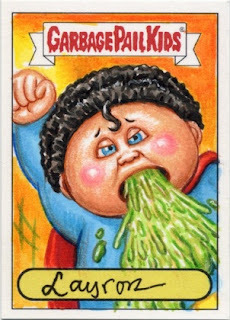 GPK BNS1 Super MANNY Return Sketch Card now on eBay! If anyone's interested, my GPK BNS1 Super MANNY Return Sketch Card is for sale on eBay. Layron DeJarnette’s SKETCH CARD BLITZ! Now on eBay! 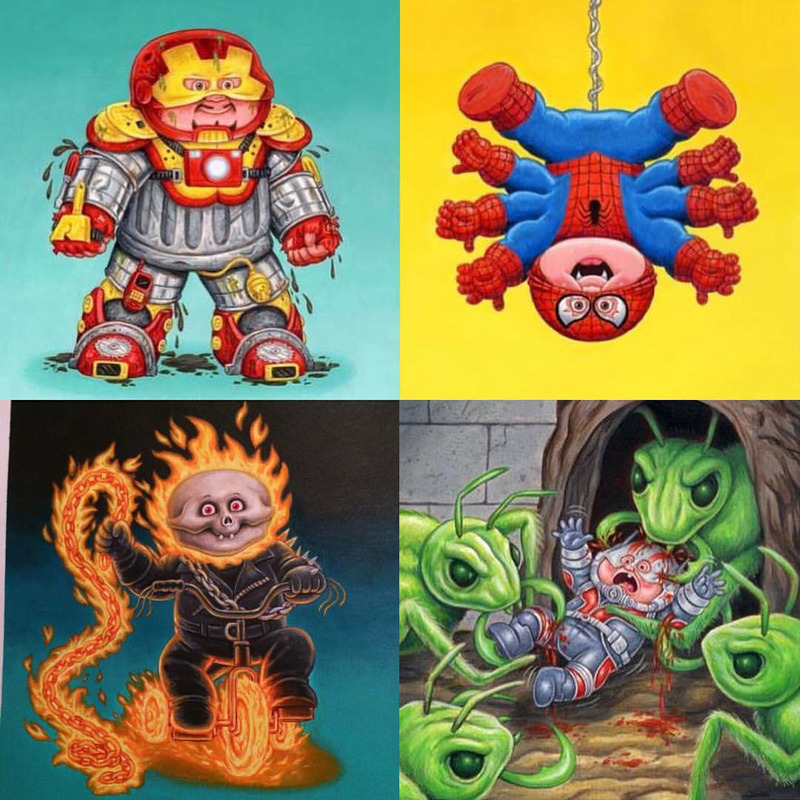 For those who are interested, I have lots of sketch cards for sale on eBay today! Please feel free to share the flyer & link. 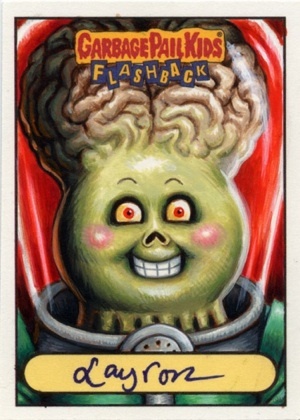 Garbage Pail Kids sketch card of "Alien IAN"! 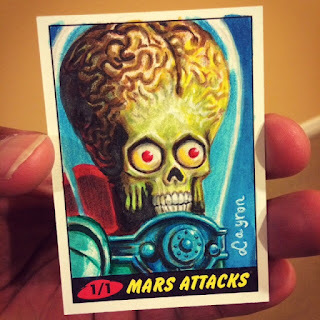 Acrylic colors are painted to look more like the original Mars Attacks characters. Working on a GPK sketch card of Dead TED! Will be putting this up on eBay soon. 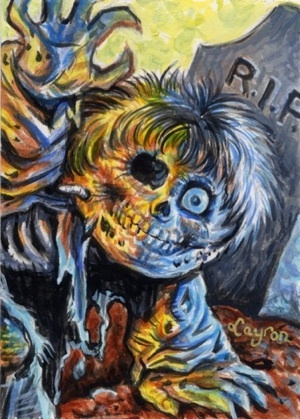 Painted in acrylics. 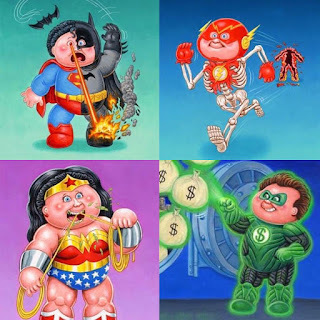 Garbage Pail Kids Superhero Illustrations. Garbage Pail Kids superhero illustrations. Painted in acrylics. 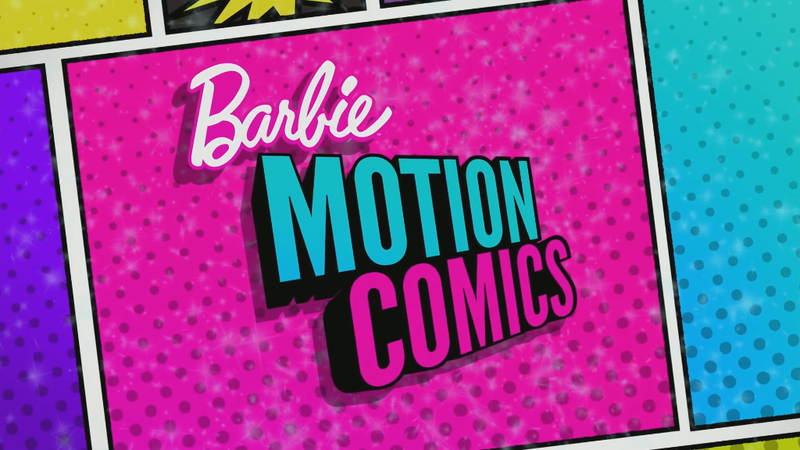 Concepts by B. Engstrom, M. Pingatore & C. Walton.